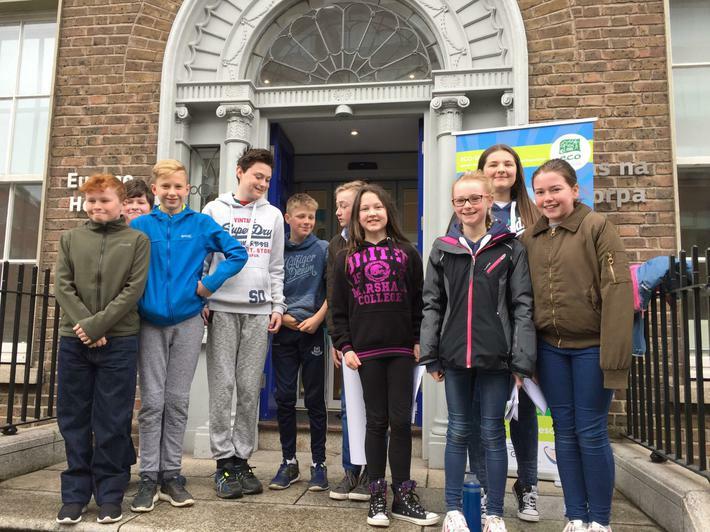 Well done to Sixth class on their great pitch at the Semi-final of the ECO-UNESCO Young Environmentalist awards. These were held in the European Commission offices in Dublin. They now wait to hear if they progress to the final. We wish them the very best of luck and are very proud of them.